cloudy, foggy, and damp (looking). I'll add a few more photos later. I made the train on time. Putting the tape on and cleaning up the glass suddenly reminded me of when my '81 Toyota Corrolla got broken into in college. That time it was the rear window and we used duct tape and old credit cards. I couldn't bring myself to put duct tape on my baby. Then again, this car is becoming a money pit. 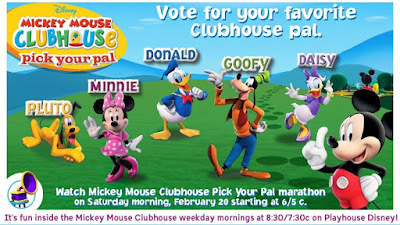 I'm beginning to see why some people would go carless in L.A.
You can choose from among your favorites – Minnie Mouse, Donald Duck, Daisy Duck, Goofy or Pluto – who will be featured in a marathon of seven episodes. The marathon will conclude with the new episode, "Mickey's Big Surprise" (9:30 a.m., ET/PT), in which Mickey surprises all of his Clubhouse pals with a big fireworks show.